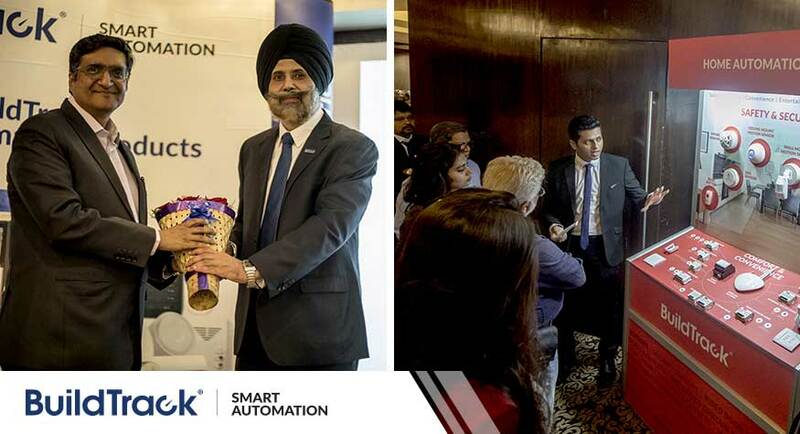 The Smart Automation Summit 2017 hosted by BuildTrack in Navi Mumbai at the TUNGA Hotel, Vashi, brought together under one roof a display of the State of the Art in Smart Automation and Internet of Things solutions. The Summit was chaired as the Guest of Honor, by one of the leading figures in Indian Architecture, Mr. Hiten Sethi, and was attended by over 100 of Navi Mumbai’s leading Architects and Interior Designers. Mr. Sethi is the globally acclaimed architect of some of the prominent landmark buildings we see around us including IIT Trichy, the L&T Grand Central, Seawoods and the NMMC headquarters and many more. Arch. Sethi spoke about how automation is gaining rapid popularity amongst homeowners and predicted that it was a rising market in the upcoming years. He also shed some light on the challenges faced in bringing automation into the newer buildings. Some that he highlighted in his speech included the challenge of integration of disparate sources of automation into a single interface for the user, and the fact that Indian products must replace imported solutions because the design of products need to suit Indian conditions and also to facilitate ongoing maintenance that is needed to keep the solutions operational. BuildTrack CEO, Balbir Singh Khera addressed the crowd on how automation solutions need to be able to operate in individual homes but that critical safety and security aspects need to be networked together at the level of campuses and townships to ensure responsiveness to events. Prof. Suchita Pawar from Bharati Vidyapeeth College of Architecture, Prof. Saju Cheriyan from St. Wilfred’s Institute of Architecture participated in the summit, representing the academia that trains future architects in these upcoming areas. Representatives from TLD Architects and Lokhandwala who had firsthand experience shared their experiences about successfully deploying BuildTrack Smart Automation on their projects.